SHIPS FREE!!! 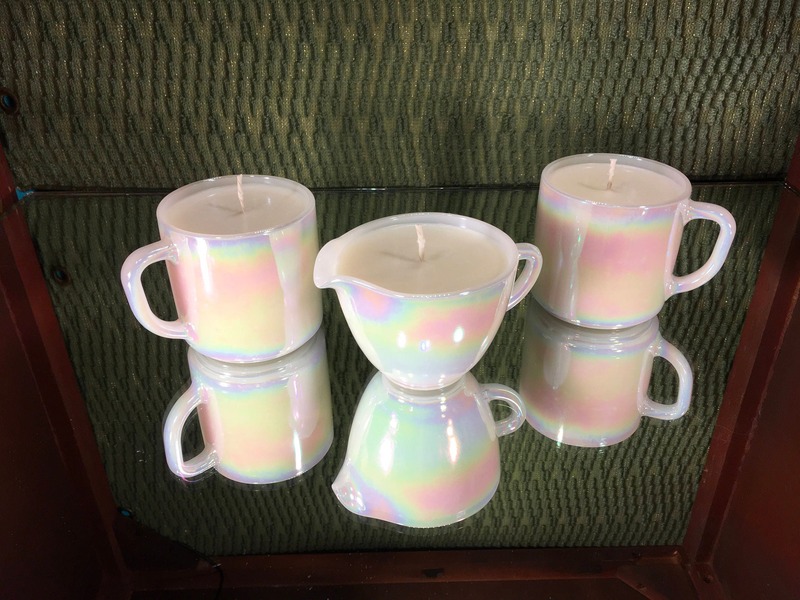 This is a vintage Fire King Iridescent Moonglow set of one creamer and two coffee mugs. Each piece is listed separately. There are two left. Use the drop down menu to choose which one you prefer. They are all filled with a wonderful long lasting Sweet Basil Bergamot scent. This scent has top notes of Bergamot with middle notes of Sandalwood, and base notes of Cedar and Sweet Basil. 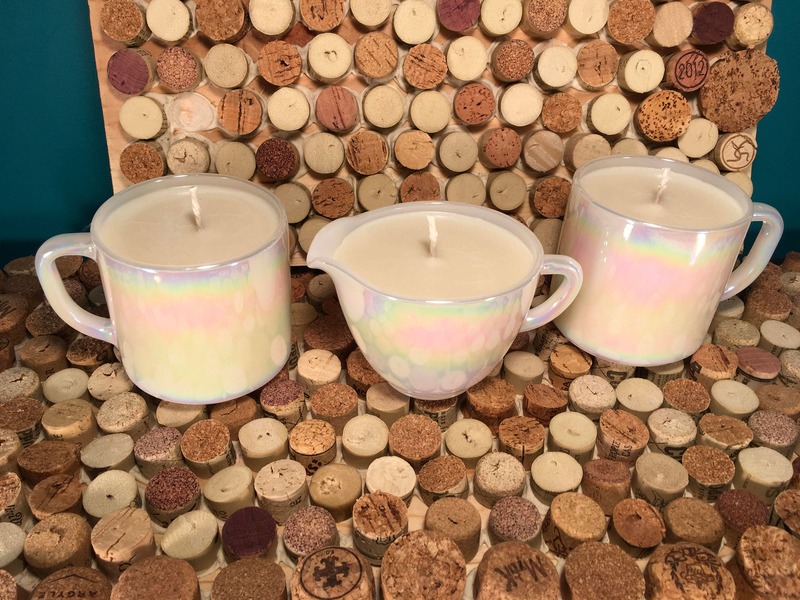 I use premium 100% natural soy wax. 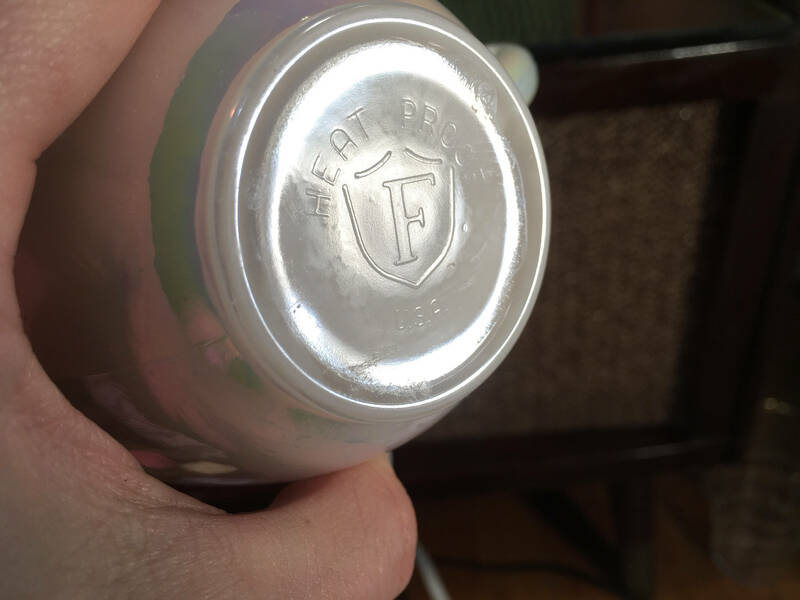 This features a self trimming wick.